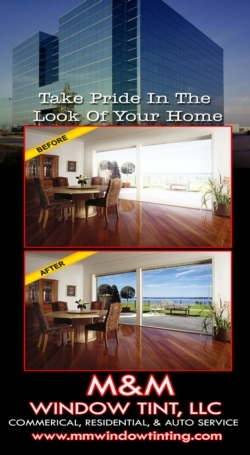 M&M Window Tint spcializes in vehicle, commercial, and residential window tinting. 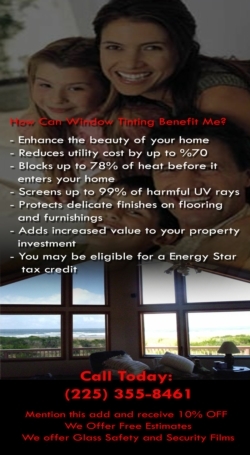 Our trained staff of professionals provides quality service and expert knowledge. 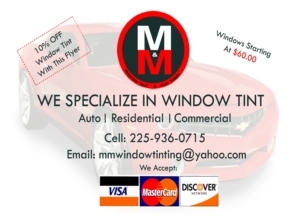 For all of your window tinting needs call M&M Window Tint.